Mamas, you will always, always have a special place in my heart. I know this is the most challenging role of my life and I think I'm not alone in that. 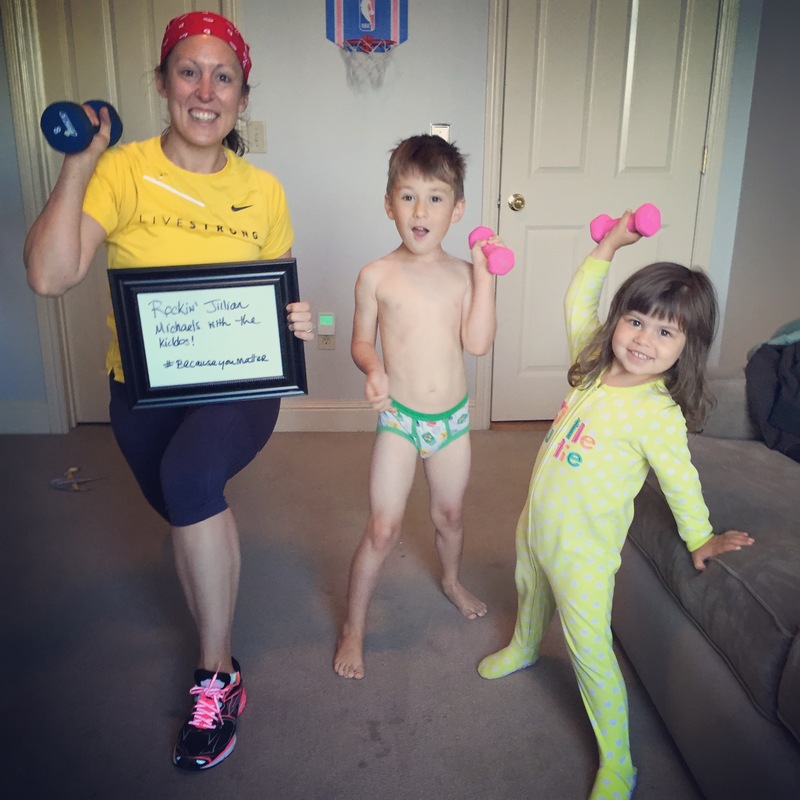 One thing that Moms are guilty of, however, is not documenting themselves in this role. We can feed a newborn, tame a toddler and grocery shop for an entire family...simultaneously. We can keep our family organized between thank you notes and birthday parties and preschool projects...in our sleep. In a word, we are amazing (if we do say so ourselves).So why is it so hard to get in front of the camera? How many times have you shooed your hubby away when he lifts up the camera with a litany of excuses: "My hair! I don't have on any make-up! I'm in my yoga pants (again)!!". Eventually, they may stop asking. Due to our own vanity, we are not documented nearly enough. Even in preparing this campaign, I assumed it would be easy to find a picture with our "real camera" (not cell phone) of the kids and me. After all, I PREACH about Moms staying in the picture all the time! And yet, I had to search back to May 2014 to find one. A year. An entire year has passed without me realizing I wasn't documented with Cal and Lily. And that, mamas, is unacceptable. Why?Because YOU Matter. And that is why we are launching the Because You Matter Contest. 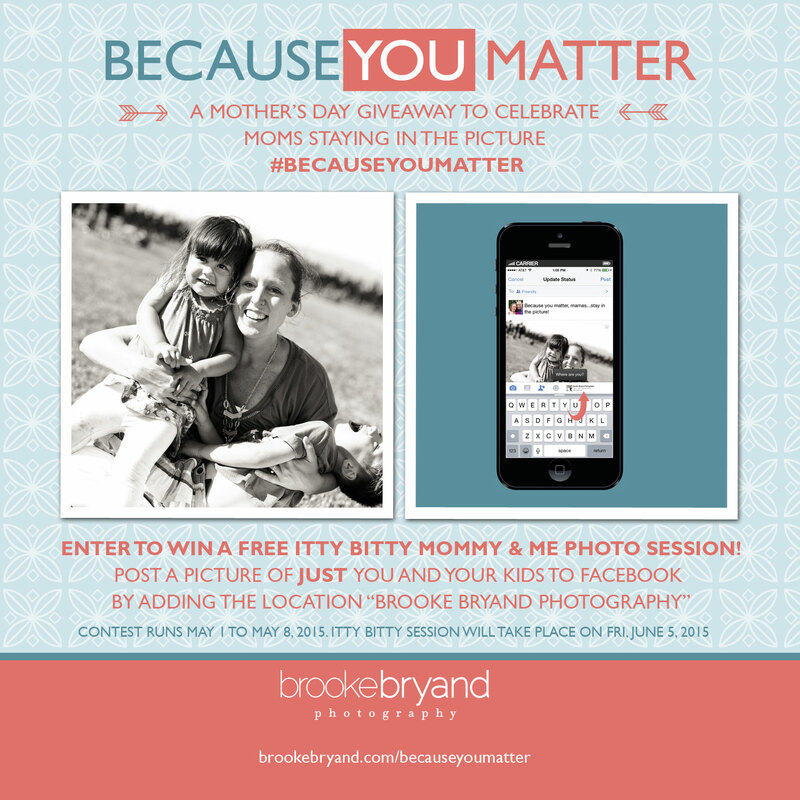 It will run for one week (May 1-May 8, 2015) and on Mother's Day, we will announce 10 lucky winners of a FREE Mommy & Me Itty Bitty that will take place on June 5, 2015.Upload a photo of you and your kids to Facebook and tag/add "Brooke Bryand Photography" as the location (or tag us if you're able). Here is my first entry...what will be yours?? Enter once a day to increase chance of winning!